Reforged in the fires of Mordor — or, you know, not — we’re bringing back a select few of our Lord of the Rings items in honor of the forthcoming The Hobbit: An Unexpected Journey, due out in theaters this December! 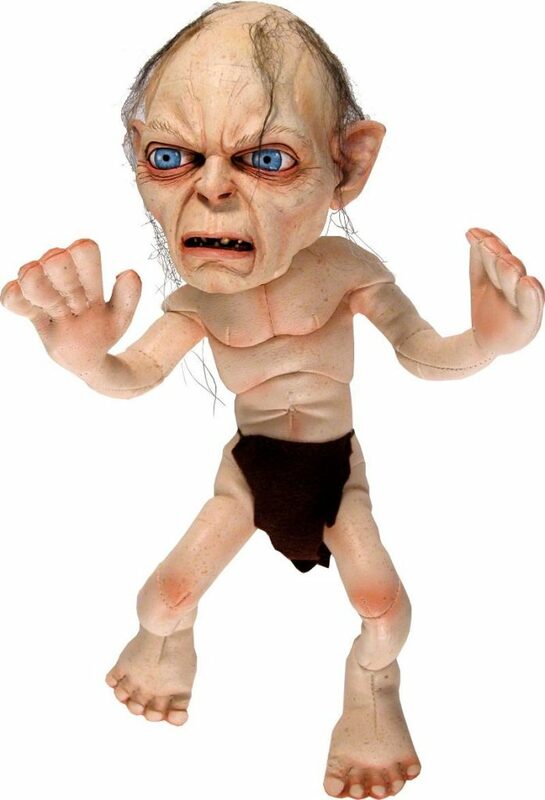 No one ever said bringing back Lord of the Rings items was going to be pretty, but what the Gollum plush lacks in handsomeness, it more than makes up in accuracy. 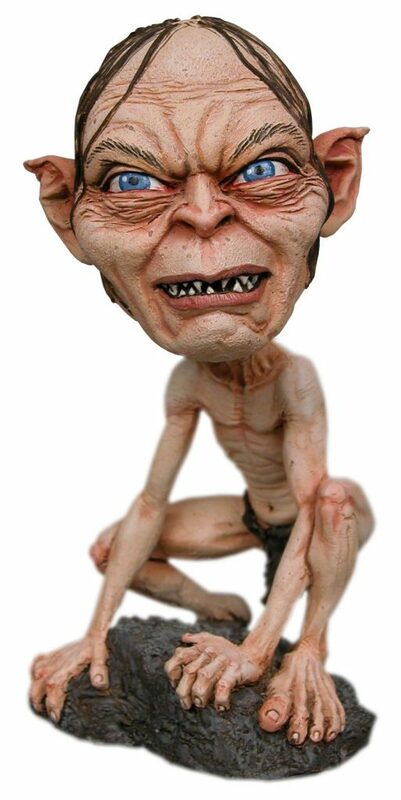 The rotocast head is dead-on to Gollum’s look in the original Lord of the Rings trilogy and in The Hobbit as well, and the plush vinyl body features a wire armature that allows you to bend and pose the limbs in any contortion you might want. He wasn’t so different from a Hobbit once, but now Gollum is truly a one of a kind. Pretty easy to tell which is which. 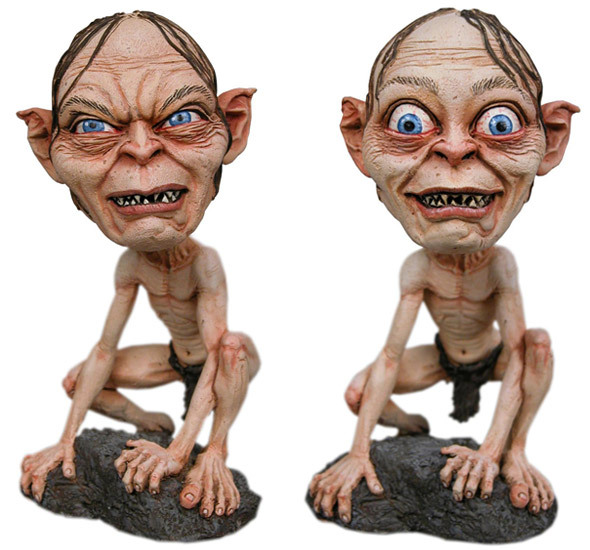 Sold separately, these two LOTR HeadKnockers capture the two sides of Gollum’s personality. The friendly, helpful Smeagol HeadKnocker (left) would never try to feed you to a giant spider. 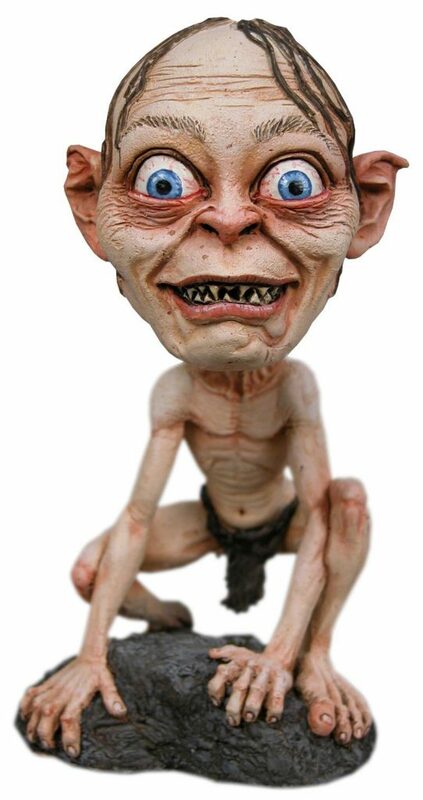 Look out for the Gollum HeadKnocker, though, because he looks about ready to start biting fingers off any minute now. Both resin bobbleheads stand 6″ tall in their crouched poses and are hand-painted. If you’re dying to get a Tolkien fix and have already been through the Silmarillion four or five times, check out the latest Lord of the Rings games from our good friends at Wizkids. 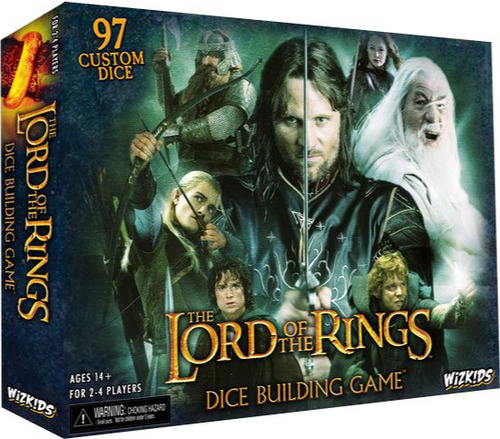 There’s the Official Lord of the Rings Dice Building Game, in which you quest for the one ring, due out January 2013, and the Nazgul Card Game, in which you call the dark lord Sauron your master and serve his evil purposes throughout Middle Earth. Available now. Hit us up on Twitter, G+ or Facebook to let us know what you think of these Lord of the Rings goodies!